In addition to our standard range of Spoutbags, we have the possibility to produce tailor made pouches, supplied on rails with end clips, allowing you to fill larger quantities effortlessly. The Spoutbags on rail system also allows machine operators to enter multiple pouches into the filling machine without having to manually handle each and every pouch, so the operator can focus on the actual filling process instead of manual insertion. Our Spoutbags on rail system (including caps) integrates flawlessly with existing filling machinery currently available in the market. The pouches are suitable for pasteurisation and sterilisation as well as being suitable for both Food and Non-Food applications. We have the possibility to produce tailor made pouches, supplied on rails with end clips, allowing you to fill larger quantities effortlessly. The Spoutbags on rail system also allows machine operators to enter multiple pouches into the filling machine without having to manually handle each and every pouch, so the operator can focus on the actual filling process instead of manual insertion. 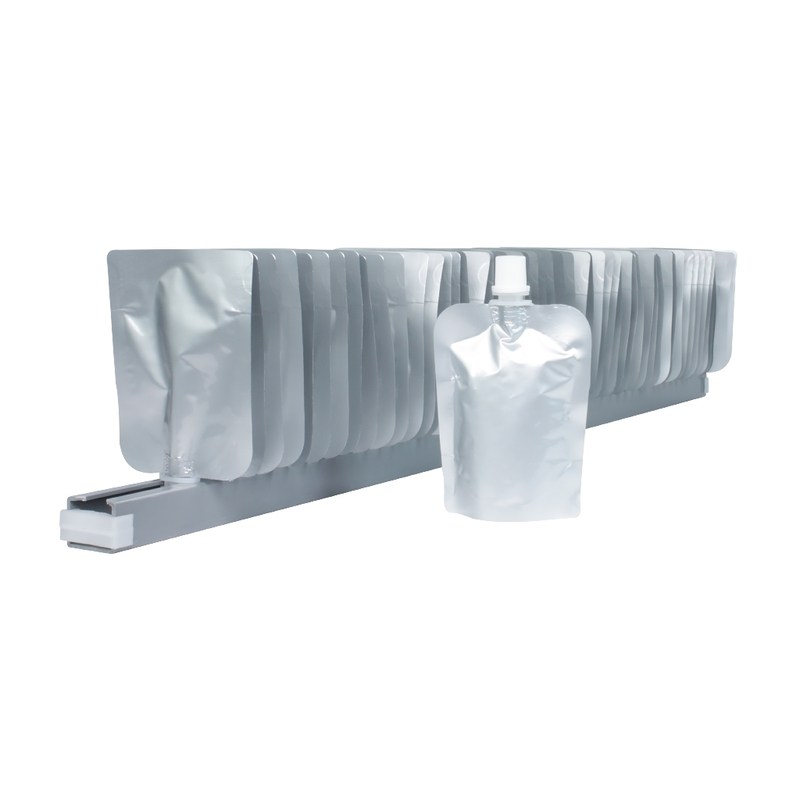 Our Spoutbags on rail system (including caps) integrates flawlessly with existing filling machinery currently available in the market. The pouches are suitable for pasteurisation and sterilisation as well as being suitable for both Food and Non-Food applications.